West Ham United captain Mark Noble has revealed he a pre match interaction with Liverpool manager Jurgen Klopp ahead of the team’s meeting on Monday. The Hammers battled their way to a deserved 1-1 draw at the London Stadium, but it was a moment before the game that sticks out in Noble’s memory. “When, as captain, I went to see the referee before the game, Jurgen Klopp and Liverpool skipper James Milner were there,” he wrote in his Evening Standard column. “Whenever I’ve been with Jurgen, he makes you feel a million dollars. It seems that Noble is quite fond of Mr. Klopp. We know from watching him as Liverpool boss that Klopp is an extremely friendly guy, someone who likes to have a laugh and make other people feel good. Clearly that extends to opposition players as well. Noble is a legend when it comes to his own club. He’s not pulled up any trees in terms of being a top class player but he has served his hometown club well and continues to be an important player for them to this day. He deserves to be referred to as a legend and given respect by rival managers. Klopp obviously wasn’t in as genial a mood after the game, but it’s nice to see figures from rival clubs being polite to one another and treating each other with respect. 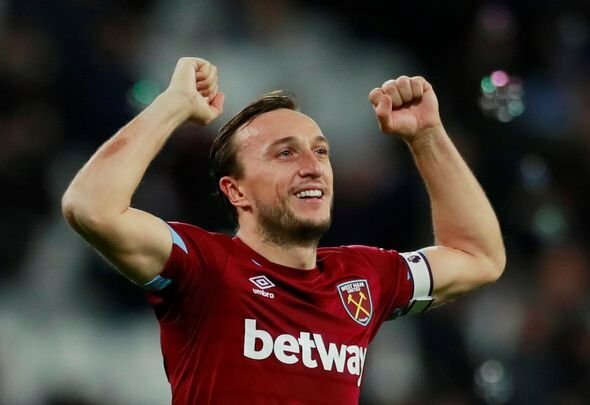 Noble was arguably even more deserving of Klopp’s praise after the match, having put in a terrific performance as the Hammers earned a commendable point.